"After working with many printers over the years, I finally found one I can trust and don't have to hold their hand." "As a professional graphic design firm, we must have first rate printing. Tri-Level Images is just that." 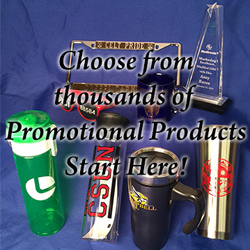 We are your one stop shop for product branding and promotion. Embroidery creates an impression of quality & style. Excellent for polos, jackets, caps, knitwear etc. Embroidery will normally outlast any garment onto which it is applied. 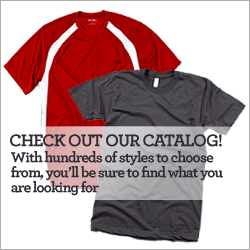 Our Custom embroidered shirts are one of the most popular products we sell. They are affordable, and show off your corporate logo or design with style. We have over 19 years experience producing promotional shirts, work uniforms, and other corporate apparel so you can be assured that your project will be done right! We use state of the art equipment and software during the design, digitizing and production processes. The outcomes are outstanding. We turn your design into wearable artwork. Just email us your design and we will provide a quick quote on what the one-time set-up cost will be. Once the design process starts usual turnaround is 5 business days and you will be provided with a stitched out version of the design for your approval. We use only the finest quality threads. This ensures the lasting vibrancy and color fastness of the artwork created. You may choose from a multitude of colors. We can custom digitize any apparel with your company’s or organization’s logo. It is our goal to help your business grow by offering the professional, dynamic, polished imagewear to make your company stand out from the rest! We are a leader in custom, corporate, and league organization apparel. Established in 1988, Tri-level Images has over 19 years of experience in the custom printing business. Our philosophy focuses on taking care of our customers efficiently while offering a superior product at a fair price. We provide short turnaround on all orders after art approval.